Hello Kodiforu Readers! I hope you are doing great. We all are waiting for the biggest shopping festival of the year, which is none other than the Black Friday. This year Black Friday falls on 24th November. There is no doubt that during this Black Friday and Cyber Monday most of the industries provides huge discounts on their services. Even in online stores like Amazon, we can get great offers, discounts, and freebies. 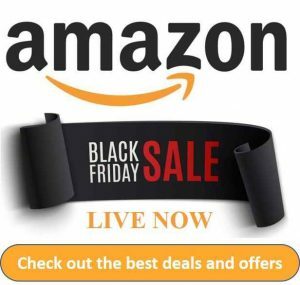 So in this post, we are listing out the best Black Friday deals which you will be interested. We all know the importance of VPN for Kodi. So Black Friday is the right time to grab the VPN for Kodi. Ipvanish being one of the best VPN for Kodi has come up with a jaw-dropping deal named Cyber Week Sale. IPVanish has just announced the new 2-year plan under the Cyber week sale which offers a flat discount of 77%. Yes, you heard it right! For just 69$ you get access to IPVanish VPN for 2-years. Which means it will cost you only 2.87$/month for the next two years. What else you are looking for?! This is the best time to grab the deal. Don’t miss it! Grab IPVanish Cyber Week offer from the link below!